There isn’t a doubt that a tyre blowout ranks the highest on any highway driver’s list of fears. With good reason too, as a tyre burst could lead to a complete loss of car control. With SUVs & MUVs, there is the possibility of a flip-over too. A blowout is dangerous no matter how good a driver you are or how safe your car is. The good news is, with tyre technology continually improving, blowouts are becoming an infrequent occurrence. Still, they do happen and it's best that you know what to do if you suffer one. Start with maintaining a safe driving speed; there are just no two sides to this. The lower your speed, the higher your chance of survival. A blowout at 80 - 90 kph will be far less dramatic than one at 140 - 150 kph. Indeed, if you survive a tyre burst at 150 kph, consider it a gift of God. Don’t abruptly take your foot off the accelerator. Do it slowly & gradually. In fact, Michelin recommends that you maintain accelerator input momentarily, before releasing it slowly. The deceleration force from a blown tyre is so strong that your car will anyway slow down rapidly. If you have engaged cruise control, be sure to disengage it immediately. Try your best to keep the vehicle pointed straight. Cornering or turning with a blown tyre will greatly upset the car’s composure. If your car is pulling to one side, you might need to pull the steering in the opposite direction to keep it going straight. This is critical, else you risk drifting into the road divider or worse still, the opposite lane. If your car pulls to the left or right side and the steering has gotten heavier, either of the front tyres has burst. The direction that the car pulls in is the side of the damaged tyre. On the other hand, if your car weaves, a rear tyre has blown. Again, don’t brake. It can lead to your car fishtailing. Understand that your car will behave very differently with a blown tyre. Effectively, the vehicle now has only 3 contact patches with the road (instead of 4). Any sharp inputs (steering, brake, accelerator) must be avoided. 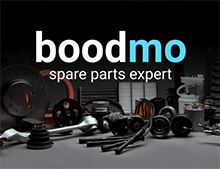 Rubber parts or a broken wheel could have damaged other components of your car. Have a mechanic thoroughly check your car before fitting the spare wheel and driving away. If the extent of damage is severe, call for a tow truck. Most car manufacturers & expressways offer road side assistance now. The situation worsens if the roads are wet. It’s best to maintain a lower driving speed in the monsoons. On the flip side, the odds of an overheating tyre are also lesser in rain or cold weather. Click here to view our article on safe driving in the monsoon season. Above all, try to remain as calm as possible. You shouldn't panic and you certainly shouldn't overreact. 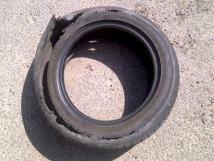 In most cases, but not always, a tyre burst is accompanied by a blast sound or a loud pop. 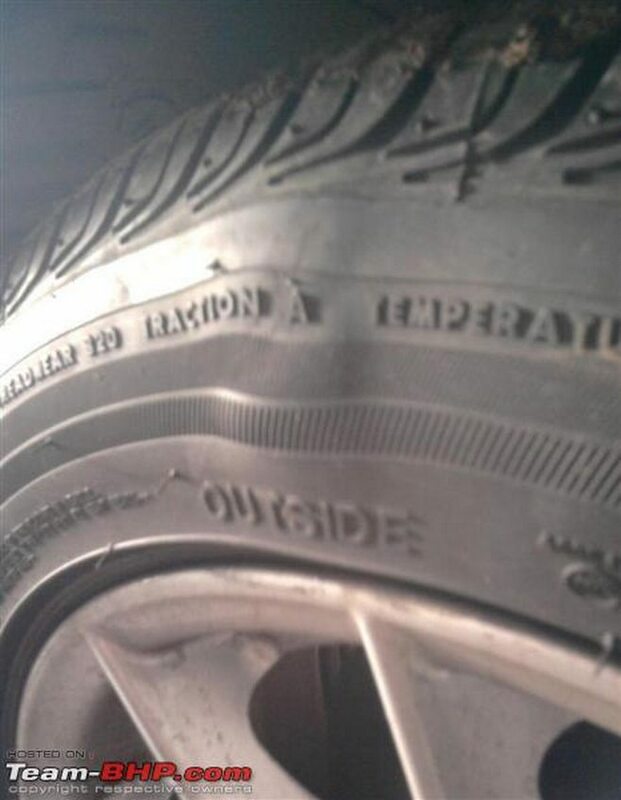 Under-inflation is the NO.1 cause of tyre bursts. Some studies suggest that it is responsible for 75% of all blowouts. Under-inflated tyres suffer from excessive flexing and thus, overheating. Be disciplined in checking the air pressure of all tyres (including the spare) before hitting the highway. Always check the pressure when the tyres are cold (typically, less than 5 km of recent running). Invest in a high quality pressure gauge as petrol pump readings may be inaccurate. There is nothing more critical to safe driving than healthy tyres. Visually inspect all tyres (including the spare). If you spot any bulges or cuts, that is bad news. Tyres can also get damaged by impact against kerbs, dividers and large potholes. Use tubeless tyres. The old tube-type tyres have a higher chance of a dangerous blowout. Good news is, tubeless tyres are OEM fitment on nearly all passenger cars sold today, and the norm in the after-market too. Use high quality tyres from a reputable brand. Avoid cheap, unknown imports (example). In addition, never buy used tyres or retread your old tyres. It must be added that runflat tyres can be lifesavers in a blowout situation. Check the remaining tread depth of your tyres. Not only does additional tread depth help prevent punctures, it also greatly helps grip levels. If the tread has worn out, get a new set immediately. If your tyres are over 5 years / 40,000 kms old (lesser for performance rubber like the Eagle F1), you should consider replacing them. The older & more wornout that your tyre is, the higher the chance of a blowout. Never overload the vehicle. Ensure that your tyre’s load rating (specified on the sidewall) and vehicle payload capacity are never exceeded. 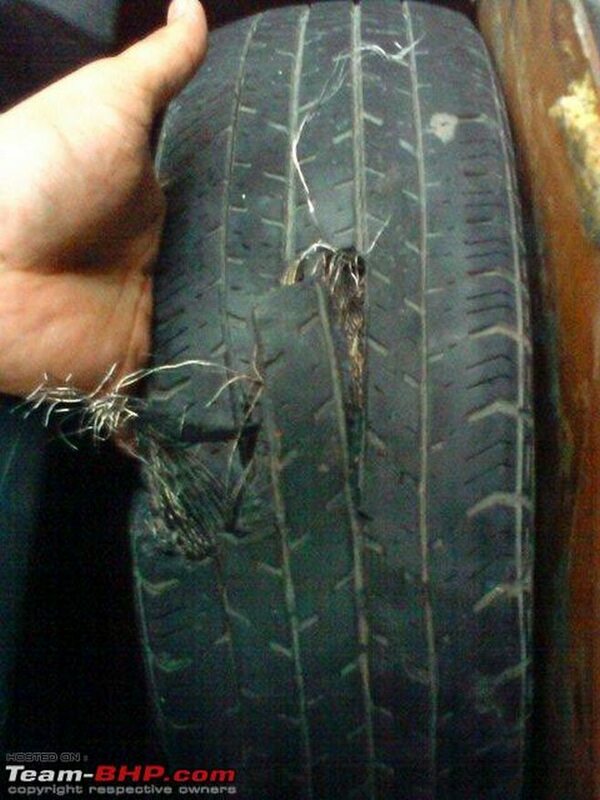 Avoid approaching the 'speed rating' of your tyre. If you do a lot of highway travelling, ensure that your tyres have a rating well above your average highway speeds. Don’t get temporary / shoddy puncture repair work done. The mushroom + plug type repair is the most recommended. Click here to view a pictorial explanation of the plug-type puncture repair process. 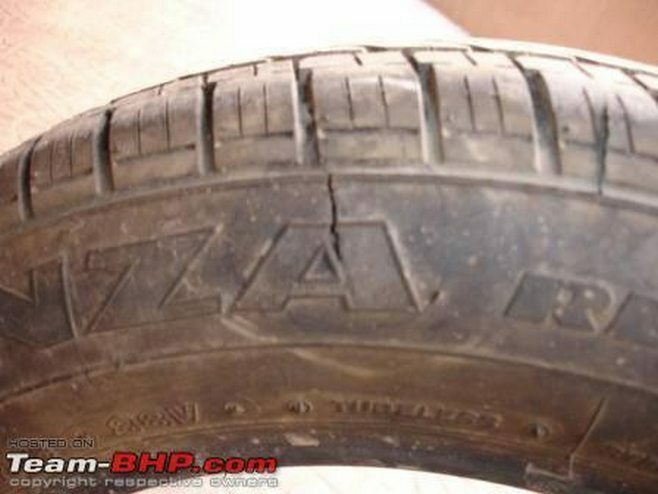 If a tyre has suffered sidewall damage, get rid of it. Related Thread. Keep in mind that driving a considerable distance on a puncture can damage the sidewall. Stability Control Programs (e.g. ESP) are lifesavers in a tyre burst situation. Consider this when shopping for your next car. While tyre sealants cannot prevent tyre overheating (and eventual blowout), they can fix slow punctures and thus prevent under-inflation. If your car is equipped with poorly designed wheel caps, get rid of them. Some wheel caps can actually rub against the sidewall & damage it. Related Post. Concrete roads might make the tyre run hotter. Here's SS-Traveller’s post on the same. It is recommended to take a break after every 90 - 120 minutes of driving. This refreshment stop will not only do the driver some good, but also allow the tyres, brakes, clutch etc. to cool down. Give your car & tyres a visual check during these chai breaks. View Samurai's excellent article on Road Trip Preparations.